I was thinking about marketing and promotions outside the context of traditional ads, and trying to come up with some examples. The idea of the successful book launch came to mind. 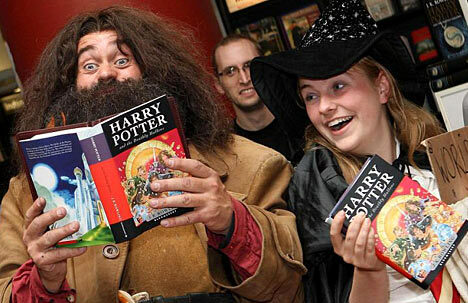 The Harry Potter series, for example, transcended its ‘book’ status and became a brand unto itself, generating an enormous cult following throughout the world. And the interesting thing is that this series touched multiple demographics: it was popular in many countries throughout the world, children and adults alike. It brings Pixar to mind – a company that integrates all manner of things into their films to appeal to the widest possible demographic. Brand musings: pass the Kleenex!